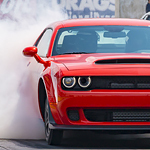 There are many muscle cars on the market, but the Dodge Challenger is one of the best. At Razzari Chrysler Dodge Jeep Ram, we strive to keep our consumers informed about the features that come with our models, so you can read about a few interior features of the Dodge Challenger below. The Jeep Gladiator is a model that hit the market as part of the 2020 model year. 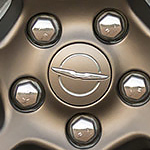 Created by the Fiat-Chrysler group, this vehicle is built on the same frame and base as the Jeep Wrangler. With much of the market upset over the departure of the Wrangler, now is the time to take a peek at the Jeep Gladiator. With a strong engine, durable design and great interior, the Jeep Gladiator brings a lot to the table this model year. 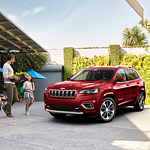 The Jeep Cherokee, already among the most popular choices in the SUV category of vehicles, will have even more fans now that its 2019 model offers a number of exterior feature improvements and additions. For added safety and security, the standard premium LED headlamps and fog lamps on the 2019 Jeep Cherokee provide improved lighting performance to ensure increased visibility of what's on the road ahead. 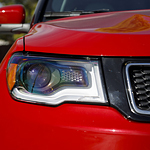 The vehicle's daytime running lamps have been redesigned in the shape of a falcon's wing, adding a bold look to the car's front end. If you’ve been shopping around for a new vehicle, it’s time that you got acquainted with all that the Jeep Renegade has to offer. 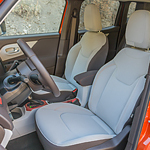 The staff of Razzari Chrysler Dodge Jeep Ram is thrilled to stock the new Jeep Renegade and invites you to find out what makes this subcompact sport-utility vehicle a perennial favorite of commuters, families and adventure-seekers alike. Whether you're navigating tight streets or exploring the open highway, you're sure to turn heads whenever you're driving the new Ram 1500. 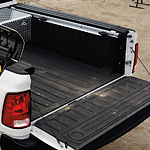 This sought-after light-duty pickup truck has aggressive style everywhere you look. It has some unique features on the front and rear ends that stand out. 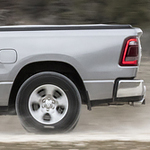 As one of the most popular heavy-duty pickup trucks on the market today, the Ram 2500 has everything that you could ask for and more in a vehicle of this stature. A host of impressive powertrain options and capabilities ensure that your Ram 2500 is ready for any challenge on the road ahead. 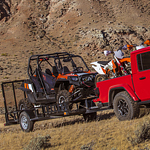 What Different Types of 4x4 Systems are Available for Jeep? Have you recently considered upgrading to a new and innovative SUV model that delivers nothing but durable excellence when it comes to the rugged California terrain? For car shoppers prospecting new Jeep models in Merced, CA, our lineup of new Jeep models will astound you! But what type of 4x4 systems are available when it comes to optimizing your off-road performance and capability?